Roman Rewald is a Polish lawyer and US-qualified attorney admitted to practice law in the United States (State of Michigan). 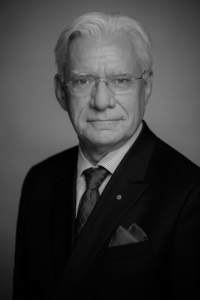 He is a retired partner of the law firm of Weil Gotshal & Manges, continuing as an international commercial lawyer and experienced mediator holding an International Commercial Mediation Training Certificate. He is the President of the Lewiatan Mediation Center at the Employers’ Confederation Lewiatan in Poland (current CAM-K coordinator) and a mediator listed at the ICC ADR Paris. He is also an arbitrator at the Polish Chamber of Commerce Arbitration Court and Arbitration Court of Lewiatan Confederation, as well as an arbitrator at the Alternative Dispute Resolution Center of the American Chamber of Commerce in Kosovo. Roman Rewald is past Chairman and current Member of the Board of Directors of the American Chamber of Commerce in Poland.